The banking sector is one of the fastest growing economic sectors of the country and that has made huge recruitment in the country offering jobs to individuals coming from all kinds of discipline and educational qualification. Any candidate who is aspiring to make a great future ahead in this sector must know the various stages of screening and preparatory processes. That way he or she can prepare well in advance and land on a great job with utmost security and growth. There are different posts that are available for the banking sector and they offer the most sought after Entrance exams in India. 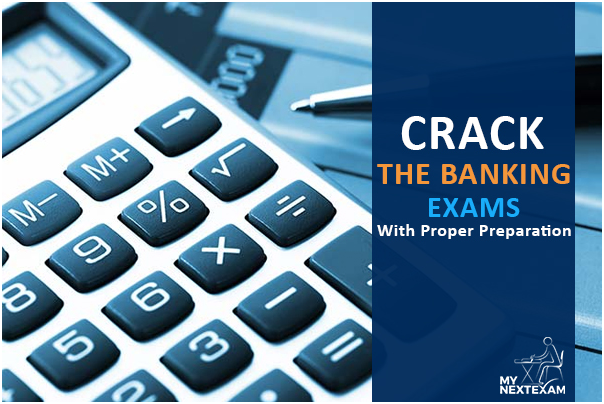 Take a look at this short and composite article to know all that you need to know about the banking exam. The candidates before starting to prepare for the different banking examinations must know of the details of the posts that are on offer. Probationary Officer: If any candidate wants to make preparations for any managerial position in the banks then this is the role that he or she should aspire for. The starting positions after the training period are the Deputy Manager or the Assistant Manager, with starting salary is 30,000 to 40,000 INR per month. Clerk Position: The clerical position is also a greatly sought after position for all kinds of qualified youths of the country. The starting salary is 20,000 to 25,000 INR per month. Specialist Officer: The specialist officers are hired by the banks for the various specialty positions as the name suggests; which include the fields of IT, Agriculture, Marketing, Finance, and Law. These are the most sought after positions since they offer special incentives and proper growth than the other positions. Though the salary bar is almost the same for all kinds of positions, they can also differ according to the location of posting and the policy of the banks. IBPS: The Institute of Banking Personnel Selection (IBPS) conducts this examination for recruitment to the probationary officer post in the 20 Public Sector Undertaking Banks. This examination is also conducted for the clerical posts in the same banks. The stakes of these banks are 50% held by the Government of India. The candidates can also apply for the rural banking sector and for the posts of the specialist officers. SBI: The State Bank of India conducts its own examination for the recruitment to the posts of probationary officers and clerks. The candidates need to apply for these posts in SBI separately. RBI: The Reserve Bank of India conducts a separate examination for the recruitment to the prestigious Grade B officers post and clerical cadres. The candidates need to work extra hard to get the job as they offer fewer vacancies than the others. The candidates need to an Indian National and a graduate from the registered and recognized colleges in India. The main preparatory parts include school level mathematics and general studies along with current affairs.